← Baltimore Screening Pass-palooza: “47 Meters Down”! Story: While scouting for things to hawk on the black market, Advance Ops officers Nick Morton (Tom Cruise) and Chris Vail (Jake Johnson) literally stumble onto the long-buried sarcophagus of Princess Ahmanet (Sofia Boutella). But before Nick and Chris can say “is that gold?”, archaeologist Jenny Halsey (Annabelle Wallis) takes over…but as they transport the goods to London, the plane crashes, dumping cargo and killing almost everyone on board. As Nick and Jenny try to find the sarcophagus and its contents, they soon realize there’s much more than bandages and dust hidden within. Remake, Sequel, Based-On, or Original: Re-imagining of Universal’s The Mummy. First film of Universal’s “Dark Universe” series of monster films. Gotta say: I love the old Universal monsters. Dracula, Frankenstein, Dr. Jekyll/Mr. Hyde, The Creature from the Black Lagoon…and of course the Mummy. So when Universal decided to update ’em all under the banner “Dark Universe”? I was all in. With this first installment of their new universe, I’m hopeful, but not 100% happy. Maybe 75% happy? Okay, 80%. Final offer. Why? Because The Mummy starts off with a bang. It’s a great action piece, and there’s some nice light creep when Nick and Chris discover the tomb of Ahmanet. Fans of classic horror will love the light homages to films past; a crypt that looks like the underground lair of Lugosi’s Dracula, police searching through an old churchyard, a chemistry setup Victor Frankenstein would adore… There’s even a nod to American Werewolf in London, as a character who “haunts” Nick slowly becomes more decrepit as the film progresses. Then it goes on with a whimper. There are few things worse than a film that starts out as a rip-roaring good time, and then hobbles itself thanks to tired clichés and character pivots that happen only to help wrap things up quickly. Archaeologist Jenny starts off as an Indiana Jones-esque badass, but abruptly turns into a bosom-heaving damsel in need of rescue by Nick. And while Nick’s “selfish guy makes good” character arc is a bit better fleshed out, it amps up to ridiculously inconceivable proportions at the climax, where Nick and Jenny are suddenly madly in love with each other. The film would have been a whole lot better (and more believable) if these two developed a deep respect for each other, rather than having Amour Ex Machina drive the climax. The plot could have stayed the same, but the reasons behind what happened would have been more plausible…and could even help strengthen future Dark Universe stories. Ah well. Speaking of characters, the actors here are plenty game enough for a monster-fest. Tom Cruise is never happier than when he’s Tom Cruise: Stuntman, and he gets to do all the things here. His joy is so palpable it’s almost fourth-wall breaking. His back-and-forth with Johnson’s Chris has a nice onscreen chemistry behind it, though I do have to say Johnson does look like Jason Isaac’s doppelganger in this film. Not a bad thing, that. As Dr. Henry Jekyll, Russell Crowe shows us a Jekyll that’s seemingly gracious and kind, but perhaps not as altruistic as it may seem. And his Hyde is brutal and clever. It’s an understated performance, which is as it should be for characters that could too easily become boilerplate good guy/bad guy. I wish Wallis had been given more of a put together character here, but it’s just another “I’m tough until I realize I need a man; then I’m a cream-puff” cliché. As Ahmanet, Boutella gets to sink her teeth into the usual all-powerful power trippy character, but there’s a touch of layering here. She’ll never be a character you can sympathize with, but her underlying reasons for doing what she did are understandable. Boutella even gets to show touches of humanity and emotional pain. It’s not Karloff’s Frankenstein monster, but it’s a nice touch amid all the action. 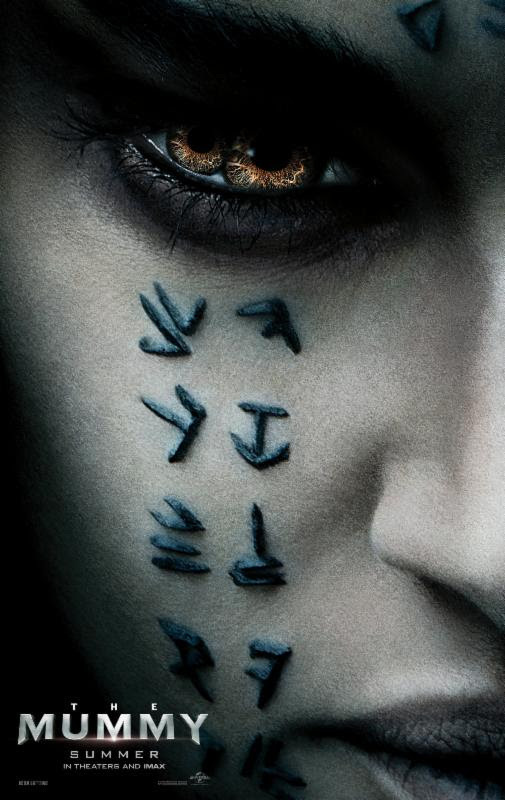 Speaking of monsters, the mummy herself looks pretty badass. FX makeup and costuming are gorgeous, and the tattoos Ahmanet sports are a beautiful touch. Her minions are just as lovingly detailed. I’m reminded of the resurrected skeletons from Michael Jackson’s Thriller video. Yeah, that’s cool. While director Kurtzman has one other film under his directorial belt (the okay-ish People Like Us), The Mummy would have been much better served had a more experienced director taken the reins. That might have helped the disjointed break between the first and second acts of the film, and the abruptness to the film’s shift in tone. Still, monsters! Monsters well imagined, and brought to screen beautifully. There’s more than enough to enjoy with this film for me to chalk up the hiccups to panic at the new universe starting gate. Plus, Bill Condon (Gods and Monsters, Beauty and the Beast) is set to helm the Dark Universe’s next offering, Bride of Frankenstein (with Kurtzman doing scripting honors). Now that’s something to look forward to. #Protip: There is actual historical basis for the “erased from history” idea. Female Pharaoh Hatshepsut had much of her historic record eliminated. There’s lots of speculation as to why, but it did happen. This entry was posted in General Mayhem and tagged 7 Pieces Of, Dark Universe, Movie Reviews, Universal Monsters. Bookmark the permalink.